Hello Everyone! 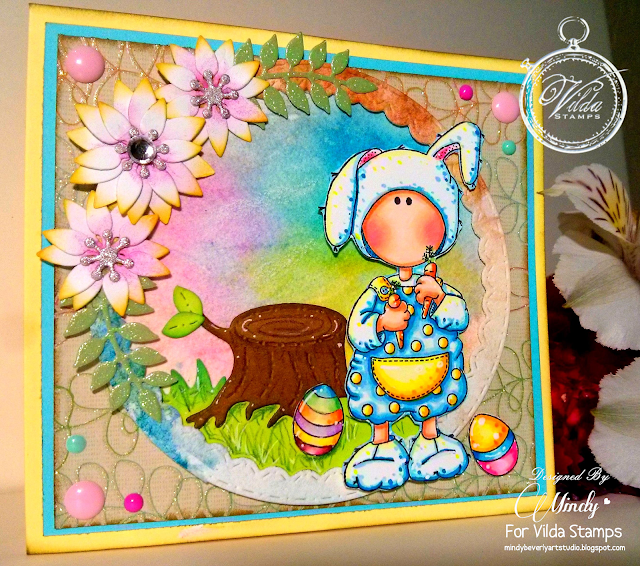 Today I want to share with you my Design Team Inspiration card for the Vilda Stamps Challenge Blog using some Adorable stamps from Vilda Stamps! 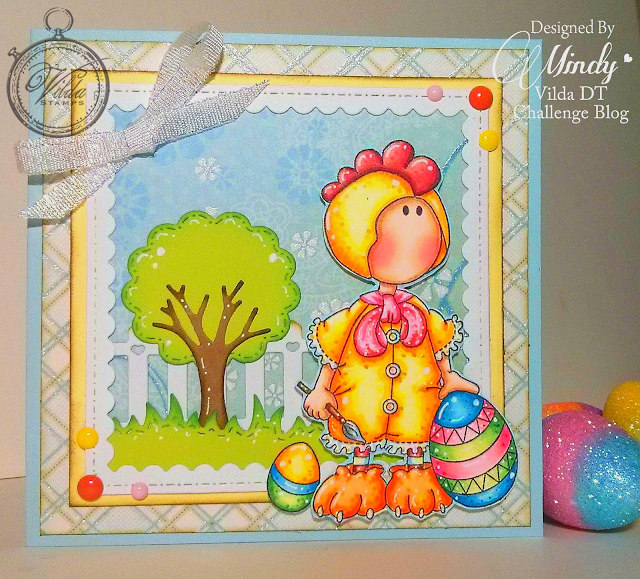 To create my card first I stamped the Adorable Rooster painting the egg onto 110 lb. plain white card stock. Next I colored the image in with Copics and then used a white paint pen to add my highlights. Once I was done coloring the images in, I then fussy cut them out. Next I cut all of my card mats and frames from patterned and plain card stock. I then inked the edges of them with Distress ink in Vintage Photo to add some extra dimension. For the Grass, fence, and tree I used some dies and then inked the edges with Distress ink in Mermaid Lagoon. Next I attached all of the card layers to my card base, and then added the super cute Vilda Rooster with foam tape for some extra height and interest. To finish I added some enamel dots and ribbon. Thank you so much for stopping by! 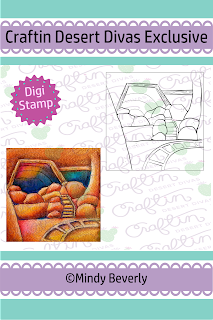 I hope that my card has inspired you to try out your own creations using these Amazing stamps! I also hope that you will join in our Challenge with your own creations for your chance to win some wonderful Vilda stamp prizes! Hello Again Everyone! 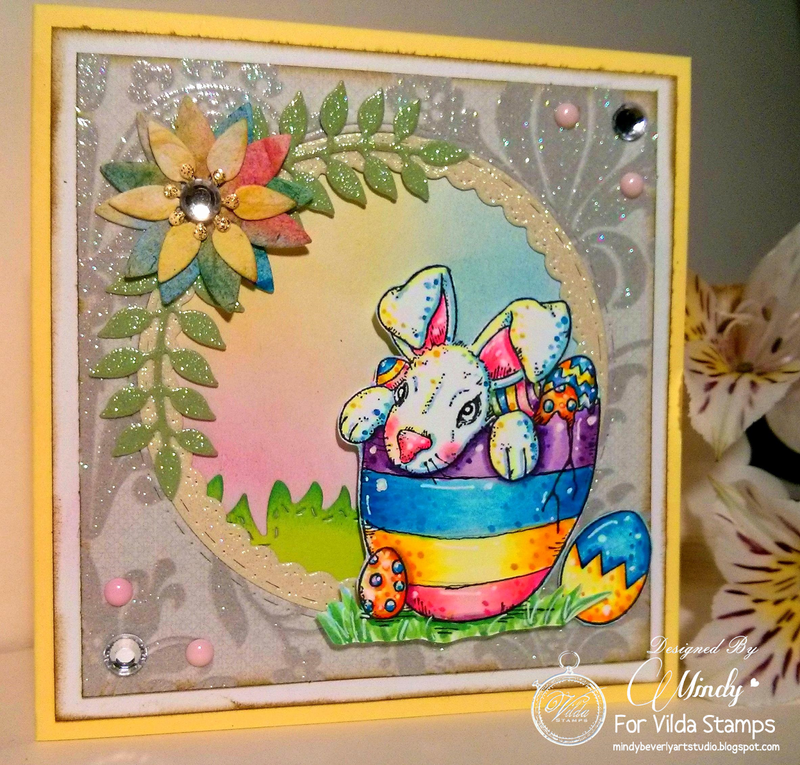 I have one last Easter card that I would like to share with you today that I made with a Gorgeous stamp from Vilda Stamps! To make my card first I stamped the Adorable Bunny stamp onto 110 lb. plain white card stock. Next I colored the image in with Copics, and then used a white paint pen to add my highights. Once I was done coloring the bunny, I fussy cut him out. After that I cut my mats and frames and then added distress ink blended in the background with a makeup sponge. The Distress Ink colors I used were: Mustard Seed, Mermaid Lagoon, and Picked Raspberries. Once I finished blending my background, I attached all of my card layers to my card base, and then added the sweet bunny onto the top of my card with foam tape for some added dimension. To finish I added some die cut flowers, rhinestones, and enamel dots. Thank you again for stopping by! I hope that you are inspired by my card to try out your own creations with these Beautiful stamps! Hello Everyone! Today I want to share with you a Easter Bunny Card that I created using some Amazing stamps from Vilda Stamps! To create my card first I cut a die cut circle and frame from watercolor paper. I then painted them using a wet into wet technique. I just wet the entire area of the circle mat and frame with clean water, and then just dropped blue yellow and pink into my wash and let the colors spread and blend on their own. I then set both the mat and frame aside to dry. 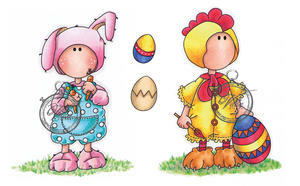 Next I stamped the super cute Easter Bunny kid and eggs onto 110 lb. plain white card stock. I then used Copics to color the images in and used a white paint pen to add my highlights. Once I was finished coloring these sweet images, I then fussy cut them out and attached them to my card base with foam tape for some added dimension. To finish I added a few die cut flowers and leaves, rhinestones, and some enamel dots in coordinating colors for some extra embellishment. Thank you so very much for stopping by. I hope that you enjoy my card and are inspired to try out your own creations with these Gorgeous stamps! Hello Everyone! Today I want to stop by and share with you a Royal Birthday Card that I created using an Adorable stamp from La La Land Crafts. I just love this sweet Egyptian Princess, and even though she was meant to be a Halloween stamp I wanted to show you that she could be used for other occasions as well by just coloring her a different way. To make my card first I cut my base card layer in a ocean blue card stock. 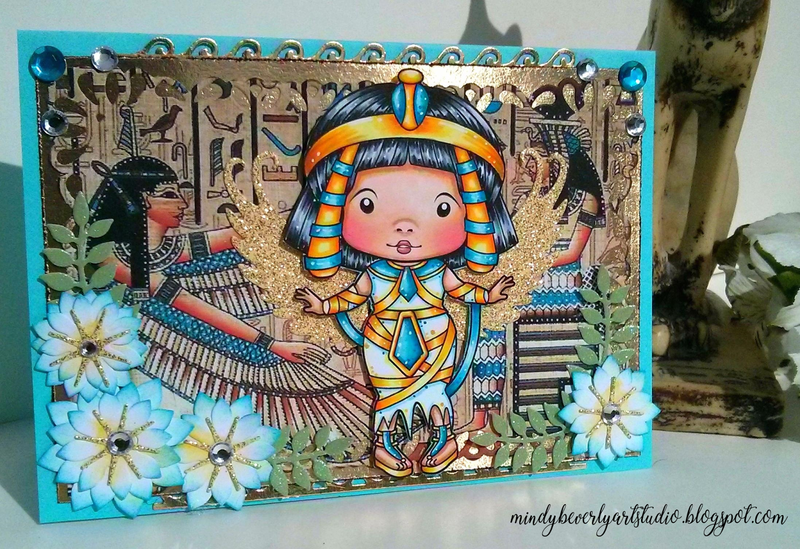 For my next layer I used a spellbinders die and cut the intricate frame in gold metallic card stock. I then used one of the smaller frames from that same die set and cut the next layer from a pattern paper I created using an image of papayrus scrolls. After I was done coloring her in, I then fussy cut her out and attached her to my card base with foam tape and glitter die cut wings placed behind her to give the illusion she has Isis wings. To create my flower embellishments I used the Water Lily Die and cut all the pieces 3 flower layers per flower from plain white 110 lb. card stock. I then used Distress Ink in Mustard Seed to blend into the center of the flowers with a foam blending brush. Next I used Distress Ink in Mermaid Lagoon to add the blue tint to the edges of the petals. I then just glued all the layers together and then added a rhinestone and glitter stamen to each flower in the center. I really hope that you enjoy my card and are inspired to try out your own creations with these Beautiful stamps! 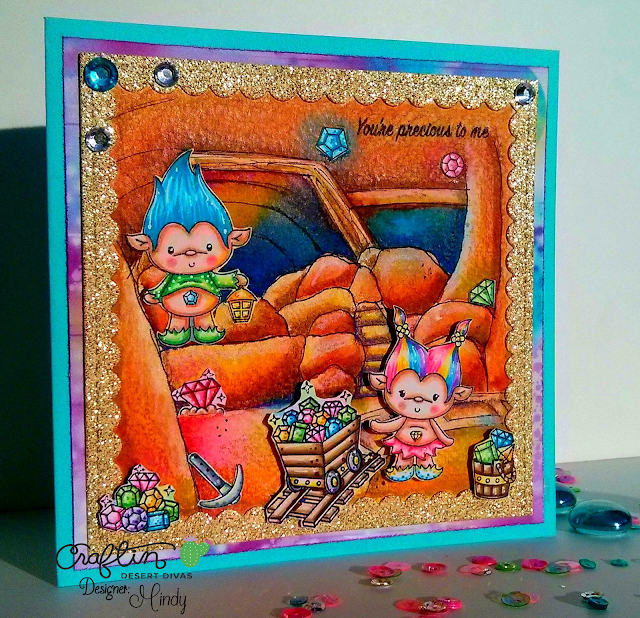 Today is Day 4 of our February Product Release over at Craftin Desert Diva's, and today I want to share with you a Treasure Troll Card that I made using our new Treasure Troll stamps, Mine digi stamp, and Gemstone papers. 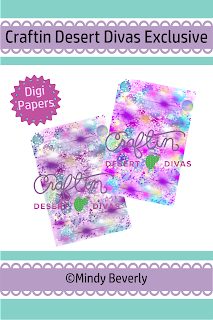 To make my card first I printed out the pink tone of the gemstone papers (sized to standard 8.5" x 11") and the mine digi stamp (sized to 5" x 5") onto two different sheets of 110 plain white card stock. 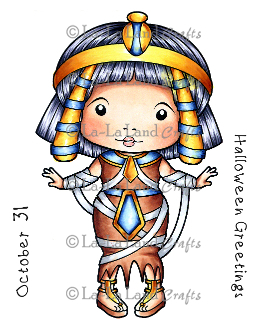 Next I used Copics to add color and shadows to the background digi stamp. 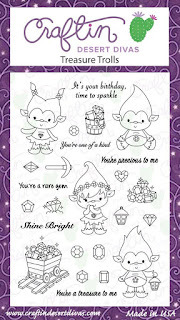 I created both the digi stamp and the papers as CDD exclusives to coordinate perfectly with our Adorable new trolls. Next I used Prima Watercolors in Decadent Pies to add some contrasting watercolor washes over the background, and to add pops of color to make the gems look like they were lighting up the mine walls. I used wet into wet washes so that I didn't end up with any harsh lines. Once I was done with the background I set it aside to let it dry completely. While my background was drying I stamped the cute little trolls and gems from the Treasure Troll set onto plain white card stock and then colored the images in with Copics. I then used a white paint pen to add my highlights and fussy cut the images out. To finish I cut my bottom mat from the gemstone papers and distressed the edges. I then used the inside scalloped frame dies from Craftin Desert Diva's to cut my frame from gold glitter cardstock. I then layered the frame over my finished background and trimmed the background down to fit the frame. After that I attached all of the layers to my card base and then used foam tape to add the little trolls and gemstones to the front of my card. To finish I added just a few rhinestones for some extra sparkle and shine. 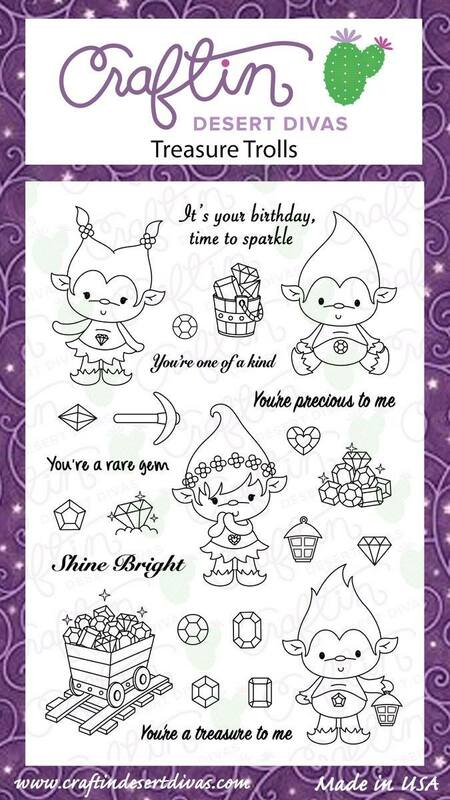 I really hope that you are inspired by my card to try your own creations with these amazing stamps!